Are 'Dog Years' a Real Thing? Ask a dog owner how old their pet is and they might give you two numbers—Fluffy's "true" age and her age in "dog years." The common way of thinking goes that because the life expectancy of an average-sized, medium dog is about one-seventh that of a human, one human year is equivalent to about seven years for dogs. By this measure, a 2-year-old dog is actually 14, a 7-year-old dog is 49, and so on. If this rule seems to simple to be true, that's because it is. The reality is there's no easy trick that churns out the human-age equivalent for all dogs. Thinking about your dog's age in human terms is not only inaccurate, it can also be dangerous when it prevents you from getting them the care they need based on which life stage they're at. According to Jesse Grady, clinical instructor of veterinary medicine at Mississippi State University, the best way to describe a dog's age is to sort it into a category. The chart below takes data from the American Animal Hospital Association Canine Life Stages Guidelines [PDF], and it's what veterinarians today use to treat their patients. This list divides a dog's lifespan into six stages: puppy, junior, adult, mature, senior, and geriatric. And rate of maturation looks a lot different in dogs than it does in people. 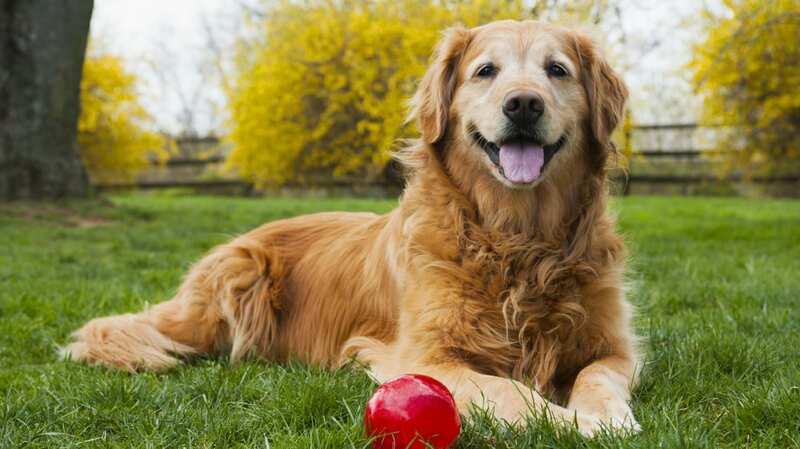 It takes a less than a year for a dog to reach the adult stage, and after that it takes nearly six years for it to move on to the mature stage of its life. Even though the numbers above are more accurate than the seven-year rule, they still don't apply to every dog. This chart was made with medium-sized dogs in mind. The average life expectancy for a dog that size is 10 to 13 years. Small dogs tend live longer, about 10 to 15 years on average, with some breeds reaching up to age 18. A dog's health, weight, and breed are all factors that contribute to its individual life expectancy. These guidelines aren't too helpful if you're the type of pet owner who needs to know when exactly your dog is entering its teen years, turning 21, or reaching doggy retirement age. For a rough equivalent of your dog's age in human years, check out the chart below, which breaks down "dog years" by size.